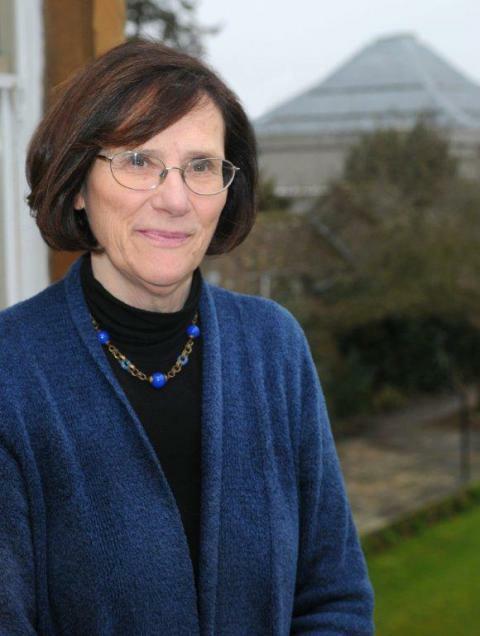 Hermione Lee was President of Wolfson College from 2008 to 2017 and is Emeritus Professor of English Literature in the English Faculty at Oxford University. She is a biographer and critic whose work includes biographies of Virginia Woolf (1996), Edith Wharton (2006) and Penelope Fitzgerald (2013, winner of the 2014 James Tait Black Prize for Biography and one of the New York Times best 10 books of 2014). She has also written books on Elizabeth Bowen, Philip Roth and Willa Cather, an OUP Very Short Introduction to Biography, and a collection of essays on life-writing, Body Parts. From 1998 to 2008 she was the Goldsmiths’ Professor of English Literature at Oxford. She is a Fellow of the British Academy and on the Council of the Royal Society of Literature, as well as a Trustee of the Wolfson Foundation and a Foreign Honorary Member of the American Academy of Arts and Sciences. In 2003 she was made a CBE and in 2013 she was made a Dame for services to literary scholarship. She grew up in London (her father was a G.P. in central London) where she went to school at the French Lycée in London, the City of London School for Girls, and Queen’s College. She took a First class degree in English Literature from St Hilda’s College Oxford in 1968 and an M.Phil from St Cross College in 1970; she is an Honorary Fellow of both Colleges, as also of New College. She has taught at the College of William and Mary in Virginia, at the University of Liverpool (where she was given an Honorary DLitt in 2002) and at the University of York, from 1977 to 1998, where she had a personal Chair in the Department of English and Related Literature and received an Honorary DLitt in 2007. From 1998 to 2008 she was the Goldsmiths’ Professor of English Literature and Fellow of New College (the first woman professorial fellow of the college) at the University of Oxford. In 2008 she was appointed President of Wolfson College, Oxford. In 2013 she received an Honorary Fellowship from King’s College London. Her books include The Novels of Virginia Woolf (1977, reissued with a new introduction in Routledge Revivals, 2010), her study of the Anglo-Irish novelist Elizabeth Bowen (1981, revised 1999), a short critical book, the first published in Britain, on Philip Roth (1982, reissued with a new introduction in Routledge Revivals, 2010), a critical biography of the American novelist Willa Cather, Willa Cather: A Life Saved Up (1989, reissued by Virago in 2008 and by Vintage in the USA in 2017), a major biography of Virginia Woolf (1996), a collection of essays on biography and autobiography, Body Parts: Essays on Life-Writing (2005) (published in 2005 by Princeton University Press in a shorter version as Virginia Woolf’s Nose), a biography of Edith Wharton (Chatto & Windus and Knopf, 2007, longlisted for the Samuel Johnson Prize and for the American Quill Awards, and winner of the English Speaking Union Ambassador Prize), and a “Very Short Introduction” on Biography (OUP, 2009). Her biography of Penelope Fitzgerald (Chatto & Windus 2013, Knopf and Vintage 2014) won the James Tait Black Prize for biography in 2014 and the US Plutarch Prize for the best biography of the year in 2014. It was one of the New York Times best 10 books of 2014. She was awarded the 2018 Biographers’ Club Prize for Exceptional Contribution to Biography. She has edited and introduced many editions and anthologies, of Kipling, Trollope, Virginia Woolf, Stevie Smith, Elizabeth Bowen, Willa Cather, Eudora Welty, and Penelope Fitzgerald. She was one of the co-editors of the Oxford Poets Anthologies from 1999 to 2002. She is well known for her reviews and work in the media and from 1982 to 1986 she presented Channel Four TV’s first books programme, “Book Four”. She has reviewed regularly for The Guardian and for The New York Review of Books. She was Chair of the Judges for the Man Booker Prize for Fiction in 2006. In the USA, she has been a visiting teaching fellow at the Beinecke Library at Yale University, a Whitney J Oates Fellow at the Council for the Humanities at Princeton, an Everett Helm visiting fellow at the Lilly Library at the University of Indiana at Bloomington, and the Mel and Lois Tukman Fellow of the New York Public Library’s Cullman Center for Scholars and Writers in 2004-5. In 2007 she gave the Lionel Trilling Seminar at the University of Columbia (“The Hum and Buzz of Implication: Biography and Edith Wharton”). In 2012 she gave the Leslie Stephen Lecture at the University of Cambridge (“Brotherly Biography: Leslie Stephen and Life-Writing”). In 2015 she gave the Susan Manning Memorial Lecture at the University of Edinburgh (“Character in Biography: The Most Really Interesting Problem”). In 2016 she gave the 9th Annual Leon Levy Center Biography Lecture at CUNY, and a lecture at the first Liverpool Literary Festival, “Bad Behaviour and Biography”. 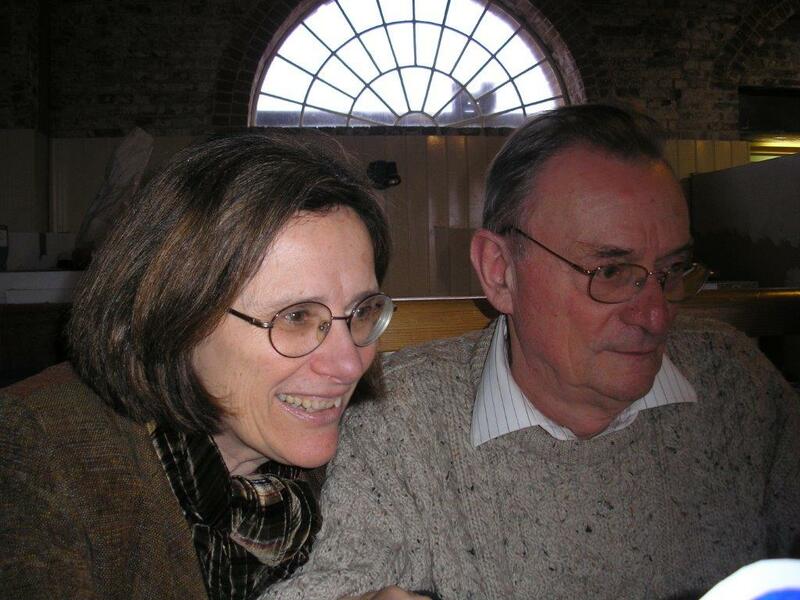 She is married to Professor John Barnard, Professor Emeritus of the University of Leeds, and lives in Oxford and Yorkshire.